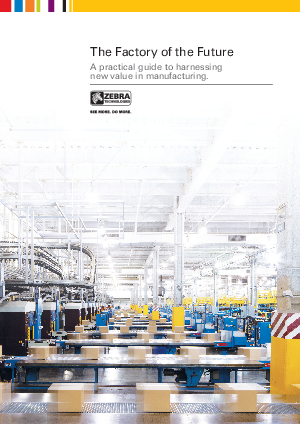 > Zebra > The Factory of the Future: A practical guide to harnessing new value in manufacturing. With around $900 billion of waste in global manufacturing supply chains*, it’s clear there’s scope to cut costs dramatically and create new value. As manufacturing regains favor with economic and political stakeholders worldwide, progressive enterprises are exploring ways to work more efficiently using asset information, system integration and process innovation.